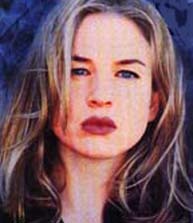 She has been mistaken a lot for actress Joey Lauren Adams and singer Jewel. She says she was almost broke before she landed the role of Dorothy, in "Jerry Maguire" because she hadn't done anything in awhile. She has an older brother, Andrew (nicknamed Drew), who she idolizes. She and her brother were one of the first people in her family to be born in America. She admits she was and still is a tomboy. Comes from a small Texan town. She likes to work out at the gym, but not too much because she has a tendency to get big. She loves the Dallas, Cowboys. She was very active in high school: doing all sorts of stuff from drama-cheerleading-sports! She went and graduated from the University of Austin. Says she would rather do more little movies that not many people know of than do big movies that stink. She loves saying the word 'awesome' in general and in interviews. She can't believe she made it this far. She thinks she is a dork (nah not her, never). Loved the song "Free" by The Martinis on the "Empire" Soundtrack! She was rumored a virgin at 26, doubt if she still is though. Has made a lot of independent films. She is very shy and innocent most of the time. She has been a presenter on 2 MTV Awards Shows so far. The actor that she has costared with the most is Rory Cochrane, they made like 4 movies together (hmm...) In 1995, she did a promo tour with Ethan for "Empire Records." She gained over 20 pounds for her role in "Bridget Jones." Presented with Alec Baldwin in the '00 Golden Globes and looked in major awe of him. She now gets paid $10 million a picture for her bigger movies! She likes Kid Rock and John Mellencamp a lot, but Aerosmith and The Beatles are her favorite. She goes and visits Texas whenever she can. She won a 2001 & 2003 Golden Globe for Best Actress in-"Nurse Betty" and "Chicago." Nominated for an Oscar for Best Actress in 2002 and 2003, but lost both times :( She gets starstruck over big stars still. She can be very immature! Renee is from the small town of Katy, Texas. She is now 34 years old and is said to live in Los Angeles, but she says Texas will always be her home! Her dad is Swiss, her mom Norwegian, but she is American. She says her parents are "lazy Catholics and Episcopalians." She never thought that she would end up in acting (main thing was Journalism), but she got so into drama that after college that's what she did. Her first film was a small blink and miss role in "Dazed and Confused" (Rory too) She had more small roles. She then went on to make other movies, Indie flicks mainly, like "The Low Life" (Rory) and "Love and a 45"(Rory) in which she had a main role. After her acclaim in "Love and a 45" she went to North Carolina to film the non-indie film, "Empire Records" (Rory again) in which she played the role of Gina wonderfully. This and her other movie, "The Whole Wide World" (another indie) got her attenton. In 1996, for "Jerry Maguire" it was the same casting director as "Empire" so she cast her! Then she became the 'watch of the town.' Although she is still very shy with the media and can't believe all this (gotta love modest person!) 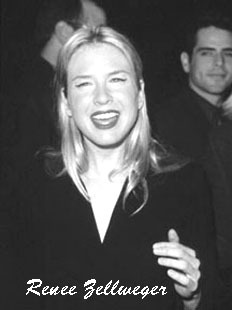 She dated Jim Carrey, her costar in "Me, Myself, and Irene" for about a year, but broke up in late 2000. Before him she was with Josh Pate, the director of her film, "Deceiver." 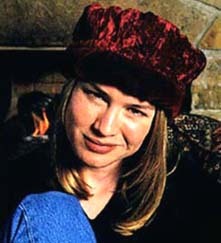 In 1992 she dated a guy named Sims Ellison-an aspiring musician, and he later killed himself in '95. Turned down the role of a million something dollars to be in "Godzilla!" She dated Rory for a long while too in the '93-95 period! Rumor says they were living together for long, but then they broke up for some reason. They were really in love at that time, but barely speak to eachother now. She's caught acclaim multiple times, most recently with "Chicago!" She is very down to Earth person, just like all the other actors on here, and really cool. She's made me love watching indies. And also I think she went well with Rory, but I guess they weren't meant to be. She'll forever be cool! 4. Murder in the Heartland(TV 1993)...?